It’s the beginning of a special weekend. Today is Perfect Picture Book Friday (although Susanna Hill is taking a summer hiatus, you can still access her incredible Perfect Picture Book resource list here.Tomorrow is Will Write for Cookies with my very special guest, author Suzanne Williams. And Sunday is Father’s Day AND the first day of summer. Woo-hoo! I just mentioned that tomorrow’s WWFC’s guest is Suzanne Williams. She’s the author of over sixty books for kids. And today’s review (even though it is not a picture book) is of her latest book in the GODDESS GIRLS series. 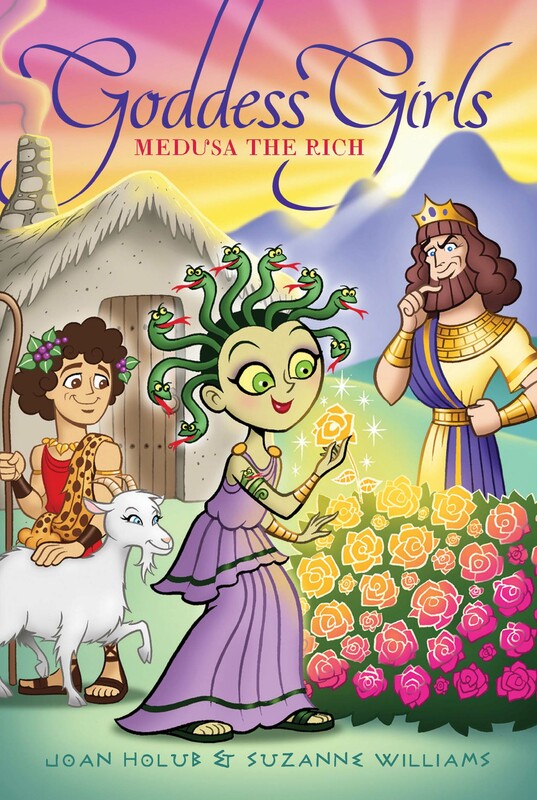 “Medusa discovers that having the golden “King Midas” touch has its ups and downs. This is a great activity for kids of any age, but especially when they get into chapter books (my grandson is six and he is totally into the Magic Tree House series with Jack and Annie)…it also makes a wonderful gift (THINK FATHER’S DAY!). 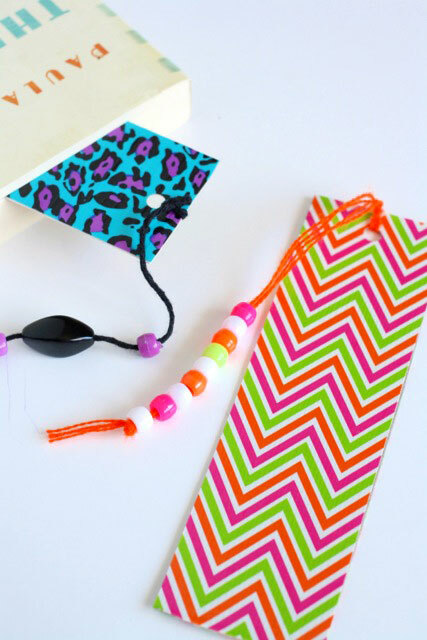 You will need: Narrow rectangle of cardboard or cardstock…you can even cut out the narrow side of a cereal box (great recycling), scissors, duct tape (they come in amazing patterns), hole puncher, string, beads (optional). Cut the cardboard into the desired size (use a bookmark you already have as a template). Unroll a strip of duct tape and lay the cardboard on top and cut to size. Smooth out. Unroll another strip and turn the cardboard over and do the same for the other size. Thread some beads (optional) on the string or yarn and push through the hole and secure with a knot. She’s got some great insights for writers…as well as a very yummy recipe to share! This entry was posted in Book Review, Father's Day gift, Kid's Craft, Perfect Picture Book Friday and tagged Goddess Girls Series, Joan Holub, Make a bookmark craft, Medusa the Rich, Suzanne Williams by viviankirkfield. Bookmark the permalink. It is a fun take on a classic tale — one that I didn’t like as a child. This is so much more child friendly. I agree, Pat…this book is so much fun! When I read the names of the snakes in her hair and that she had claimed them as pets, I knew this was a book kids would love. 🙂 What a great ‘silver lining in every cloud’ attitude Medusa has. Fun! My third graders are so into mythology-based books right now that I really need to investigate this series. Thanks! This book sounds hilarious! I’ve got to check it out. Thanks for bringing it to your readers’ attention. Cheers!